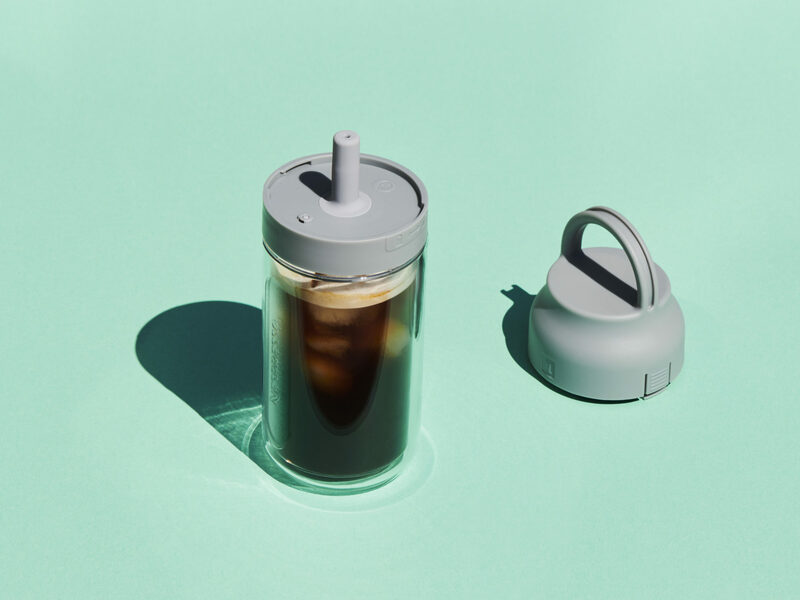 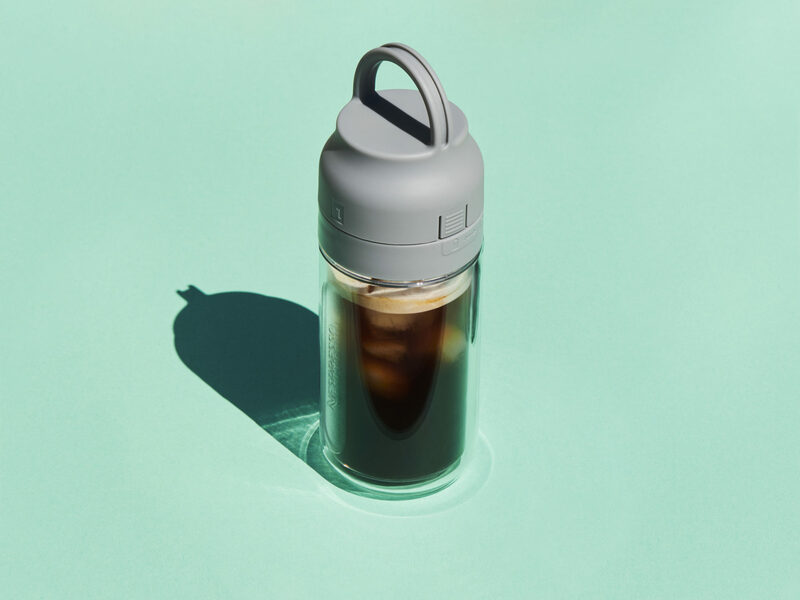 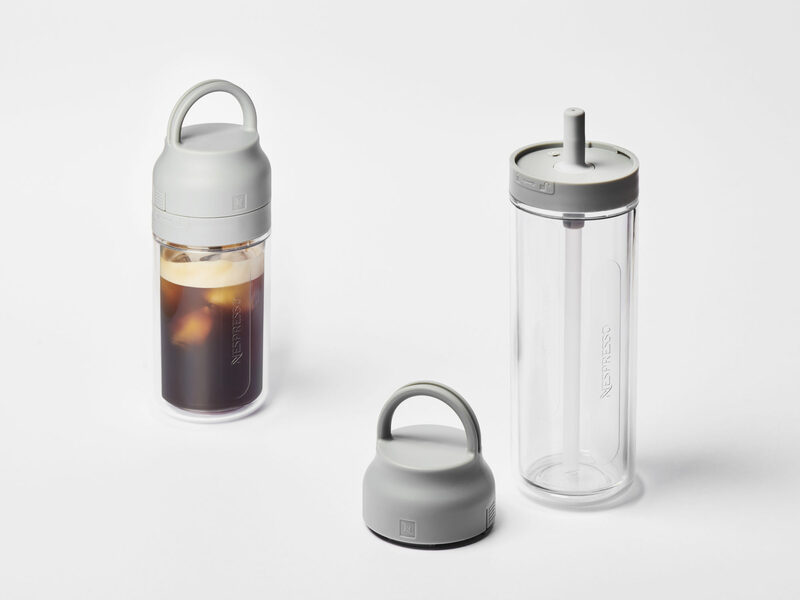 Made for iced or cold Nespresso coffee, the Nomad bottle will come along with you wherever you go and allow you to drink your iced coffee with a straw. 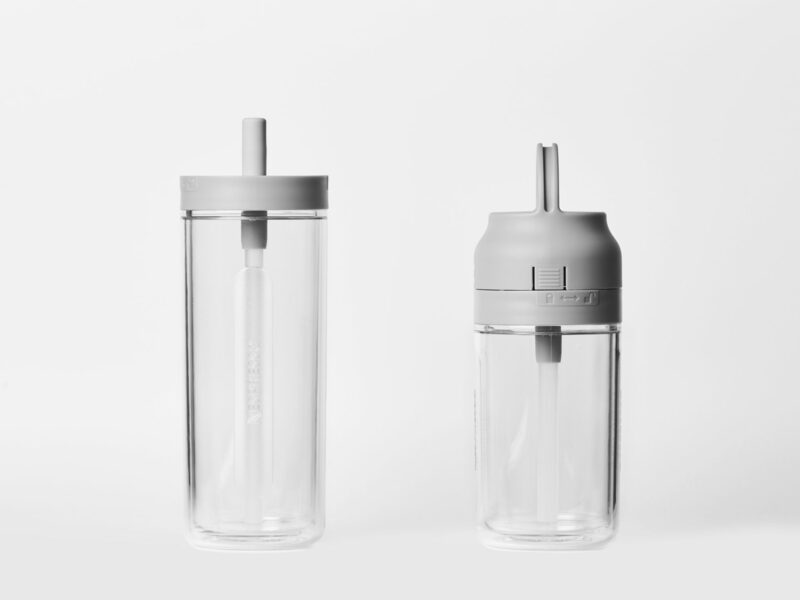 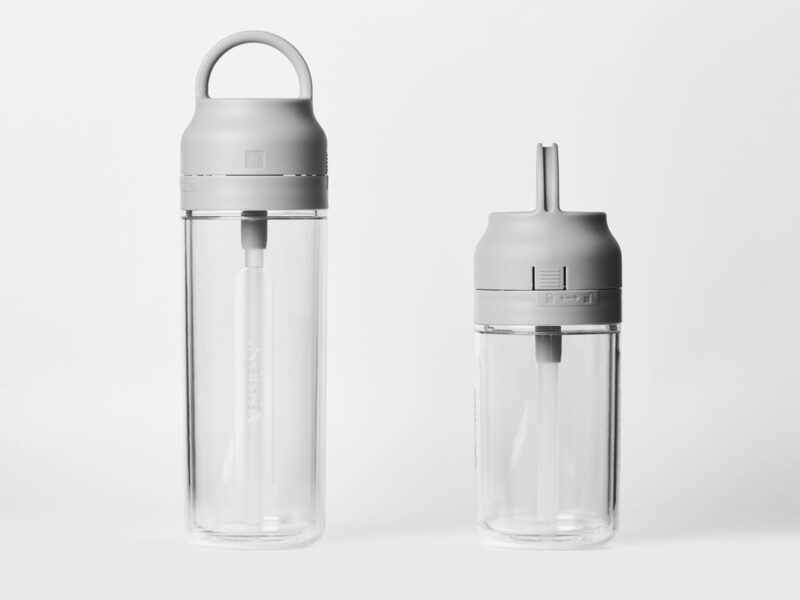 The Nomad bottle is composed of a double-wall container, a central element that holds a silicone straw and a removable lid with integrated handle. 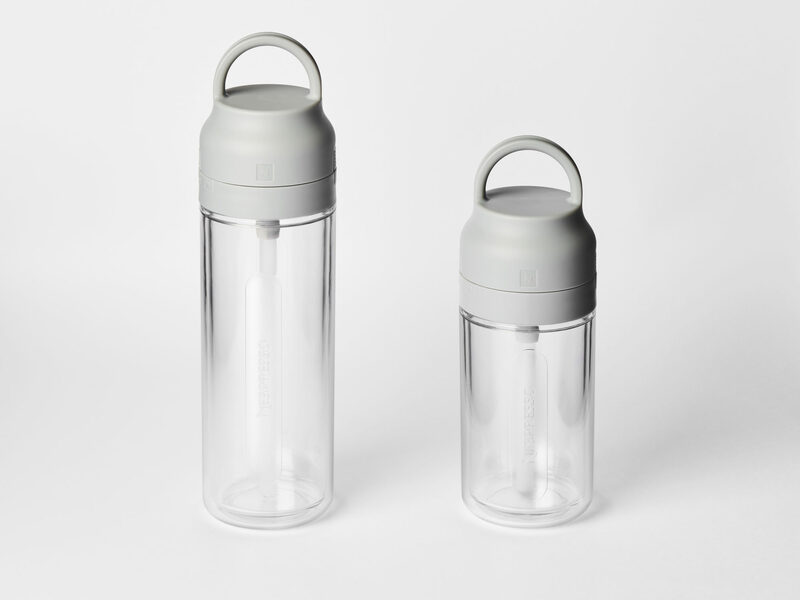 The Nomad bottle exist in 2 different sizes - large & small. 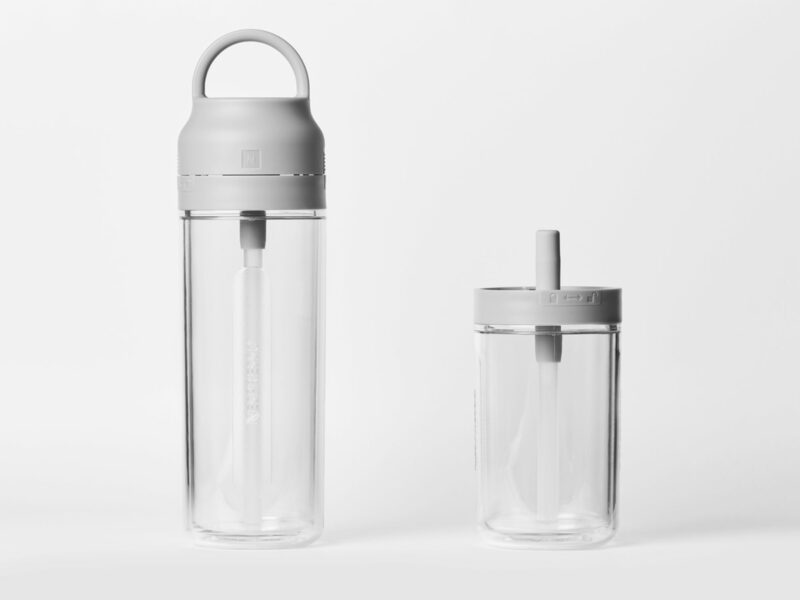 The capacity of the big is 540 ml and of the small is 350 ml.